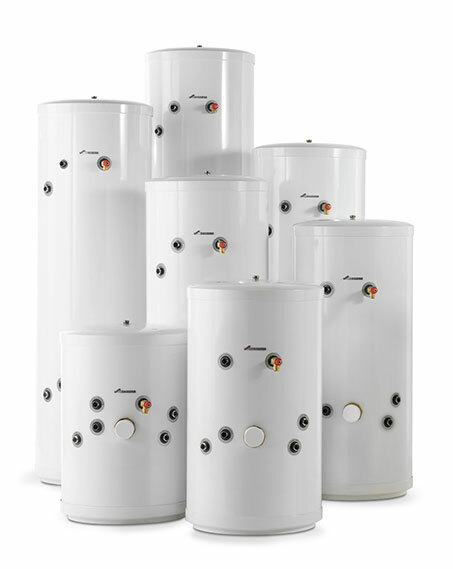 Wherever there is a regular or system boiler being used you will need to have a cylinder installed where you can store all of your hot water, ready to be used for showers, baths and for the kitchen. When choosing a new cylinder for your home, the most suitable option will be based on your home set up, available space, and how much water you use in a typical day. Vented hot water cylinders are the most common found in homes across the UK. Made of copper, cylinders such as these are filled with cold water from a storage tank likely to be found in the loft. A vent pipe will be required to link the vented hot water cylinder and the cold water in the storage tank. order to guarantee strong pressure. Most importantly, they are relatively simple to install and maintain and are the most cost-effective option. Unvented or thermal store systems differ as they require no cold water tank; the hot water cylinder is supplied directly from the cold water mains. Generally, households with unvented cylinders see a better performance with the flow of water to showers and baths. Although they are not quite as affordable as the vented cylinders, they do have some key benefits. Most significantly, as you don’t need gravity to move hot water the cylinder can be anywhere in the home, making them ideal for smaller or more obscure properties. We work with both unvented, thermal store and vented cylinders to provide the right solution for every home. To discuss which one might be best for you, or take a look at our extensive range – get in touch. ARE YOU HAVING PROBLEMS WITH YOUR CYLINDER?